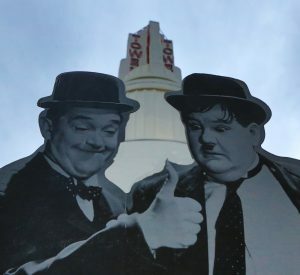 The Sons of the Desert (the international Laurel & Hardy film society) was foundered in 1965 in New York City, with the blessings of Stan Laurel. Since its inception, the Sons of the Desert has grown to over 250 local chapters. 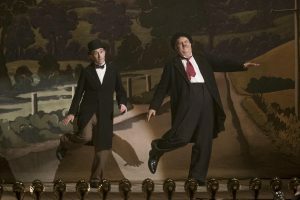 Each chapter is called a tent or oasis, in keeping with the desert theme, and takes its name from a Laurel & Hardy film title. The Sons of the Desert was named after Laurel & Hardy’s feature film of 1933, in which they play members of a Shriners-like organization. The Sacramento, California tent was foundered in 1982, and chose as its tent name Another Fine Mess, after the 1930 short subject. It seemed appropriate as the seat of California government! Our web site has three sections, named after Lord Figtree…um, Appletree…er, Plumtree. General information, such as how to contact us and links to other web sites can be found in the Plumtree section. We meet 5 times yearly. 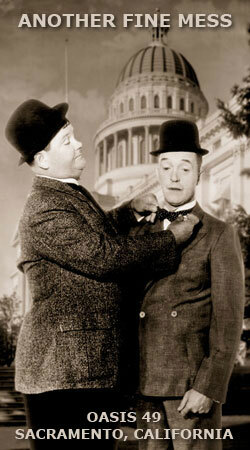 We show Laurel & Hardy films at each meeting, as well as other classic comedy films from the Hal Roach Studios. 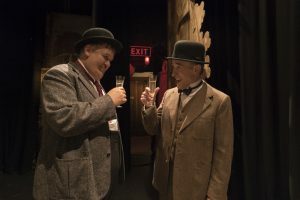 Our special focus is to bring L&H to as many people as possible! Information on our meeting schedule and a membership application can be found in our Appletree section. We hosted the 17th International Sons of the Desert Convention June 17-20, 2010. Click here to see some photos from the convention. 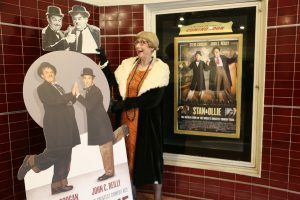 STAN & OLLIE opens at The Tower Theatre in Sacramento on January 25, 2019.